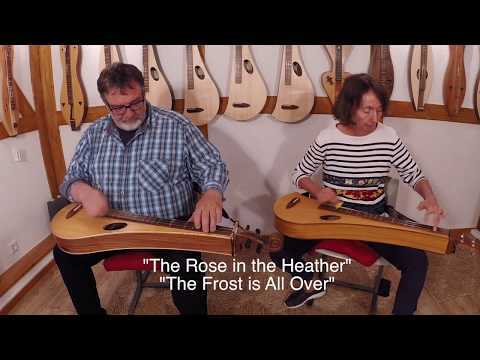 Mix aus 2 Irish Jigs: The Rose in the Heather / The Frost is All Over. I love your style! This was so much fun! And I LOVE the camera shot from the sound hole! Awesome! Thank you Terry, thank you Ken for the comment. @ Christine Thank you. Yes i love the sound of the "Dulcimus Konzertdulcimer" too. I always enjoy your videos, Martin. Your instruments are beautiful. Germany holds a special place in my life, from the late sixties. A most beautiful country. Oooh - I really like this, Martin! I would love to try one of your gorgeous dulcimers someday. The shot from the sound hole...very creative and superbly done! I enjoyed your playing and like the sound of your instruments. Thank you for sharing this video. Thank you Ariane - thank you Elvensong for the comments. Wonderful playing and sound, Martin! You are a perfect duo. Bravo! Love the POV shot from the soundhole. Your dulcimers have a wonderful tone. Well done!